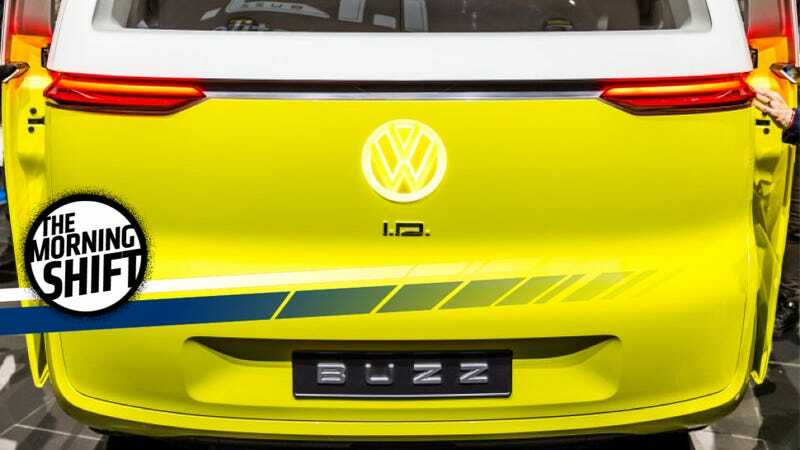 Volkswagen AG’s namesake brand is gearing up to take on Tesla Inc. with plans to roll out four affordable electric vehicles in the coming years. The German company has made “huge progress” in reducing production costs of its all-electricvehicles, Christian Senger, head of the VW marque’s electric-car project, told reporters Tuesday in Shanghai, where the nameplate is unveiling its first battery-powered crossover. The models, to be sold under the I.D. sub-brand, will be partly developed in China and also include a mid-size sport utility vehicle, a hatchback and a sedan. All that said, Tesla is not sitting still, and there’s a good chance it’ll eat Volkswagen’s lunch with an electric pickup and a semi-truck launching before VW can plug its first electric production car in. The real deciding factor in whether or not any of this is successful may just be Volkswagen’s fast-charging station plan to battle Tesla’s Supercharger network. The Supercharger is what makes electric cars work, otherwise they (like the Chevy Bolt) would be about as useful as a gasoline-powered car that you could only re-fuel at your house. Volkswagen’s planning 450 of its fast-charging sites, thanks to a Dieselgate settlement, which sounds like a lot but still nowhere near the 828 stations (and counting) that Tesla has. But if VW is really serious about getting into electric cars, this is just the beginning. The industry is rattled by Beijing’s proposal to require that electric cars make up 8 percent of every brand’s production as early as next year. Consumers are steering the other way: First-quarter SUV sales soared 21 percent from a year earlier to 2.4 million, while electric vehicle purchases sank 4.4 percent to just 55,929. Obviously, this is a completely silly game. There is no zero-sum game between electric cars and SUVs. I’m going to let you in on a little secret: Electric cars can also be SUVs. Crazy, I know. But I drove one. They exist, I promise. The one I drove I would even call spectacular. As we’ve already noted today, the real barrier to electric car adoption is a network of fast charging stations. People aren’t addicted to huffing gasoline, they just need viable transportation options of at least 250 mile range and the aforementioned network. To ease such “range anxiety,” the Cabinet has ordered the state-owned power industry to step up installation of charging stations. Those 900,000 charging stations better be fast-charging ones or so help me I will start boosting hydrogen. Sherif Marakby, vice president of global vehicle programs at Uber, left his post at the ride-hailing company on Monday. Maybe Uber should just lose someone else? Get ready for a What Car Should You Buy? bonanza. An American company is about to lay off a whole bunch of people. Someone call Trump. Or a Chevy Bolt or a Nissan Leaf or whatever. It’s your life. You get to make your own decisions.